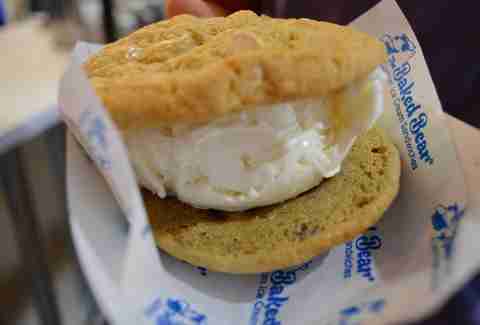 San Diego’s beloved ice cream sandwich shop, The Baked Bear, just opened up in Scottsdale. It's the first location outside of California, so naturally you can understand we're just a wee bit excited (translation: it's a big deal.) 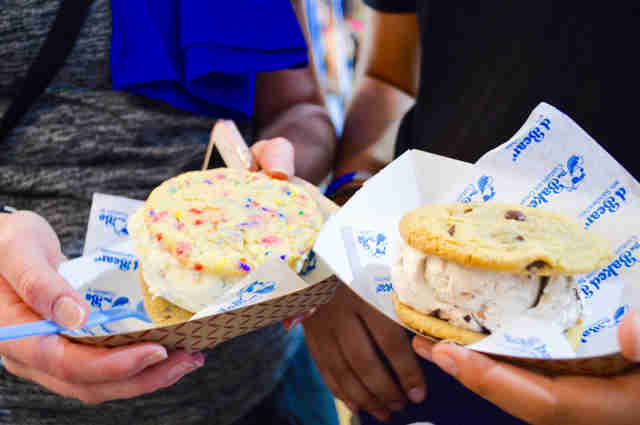 Back when it opened on May 28, more than 200 ice cream lovers (not kidding) lined up outside to get their hands on one of the famous customizable sandwiches they'd heard so much about. Well, we tried some of these baked-daily cookie sandwiches and guess what: picking a favorite is pretty damn impossible. 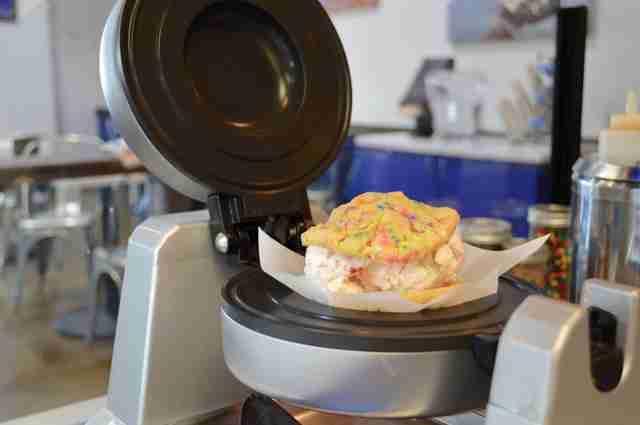 There are countless combinations you could dream up, from chocolate ice cream wedged between two halves of a donut, to birthday cake cookies stuffed with birthday cake ice cream and rolled in sprinkles or Fruity Pebbles. 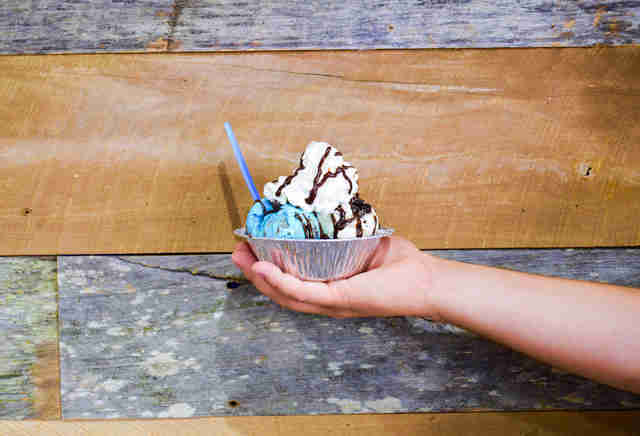 Then there's 12 flavors of ice cream (plus a chocolate chip soy option), 10 types of made-from-scratch cookies, brownies, donuts, brownie or cookie bowls, cones, AND eight different types of toppings, including hot fudge and caramel. Seriously, we couldn't decide on the best one. Any thoughts? 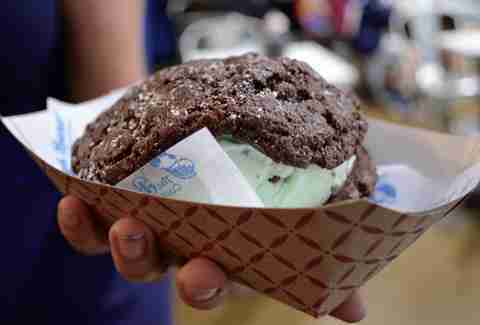 Mint ice cream between two chocolate chip cookies is ALWAYS a solid choice. 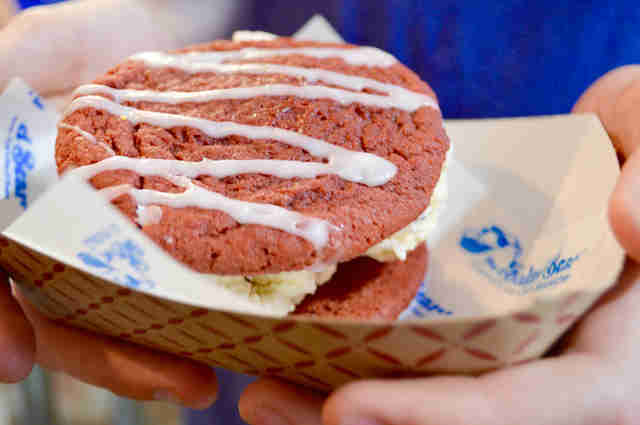 You can’t go wrong with two warm red velvet cookies and classic vanilla ice cream. Ahhh, the bear bowl. No, it's not a sandwich, but holy hell, it's drenched in warm chocolate syrup and topped with whipped cream! And get this: the best part (other than what we just described) is actually waiting at the bottom. The bowl is lined with -- brace yourself -- a soft brownie. Helllllllo, beautiful! 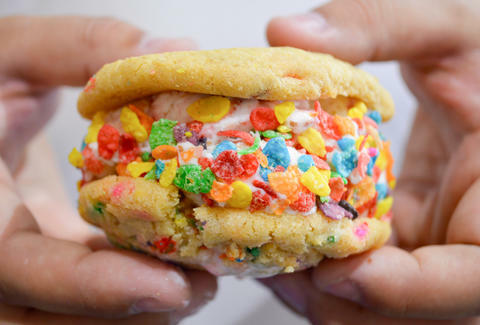 Two hot-pressed birthday cake cookies sandwich some delicious strawberry cheesecake ice cream. And those colorful things on the outside? Good God, they're Fruity Pebbles. 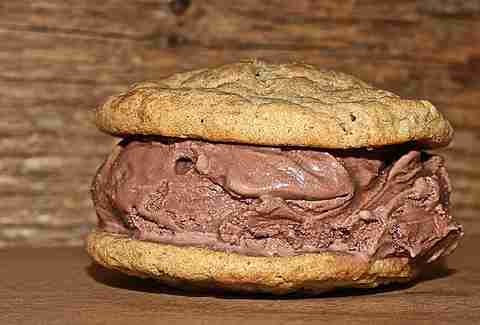 Chocolate chip ice cream wedged between two chocolate cookies -- classic! We have no words other than "heaven." 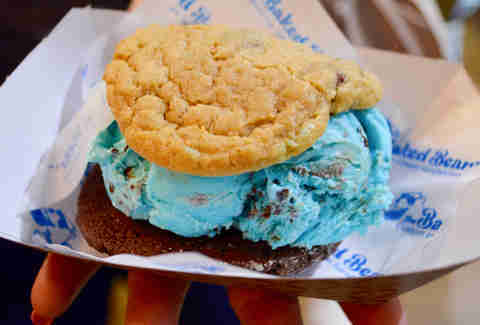 The ice-cream-to-cookie ratio is perfect. The combo is insane. The choice couldn't be better. 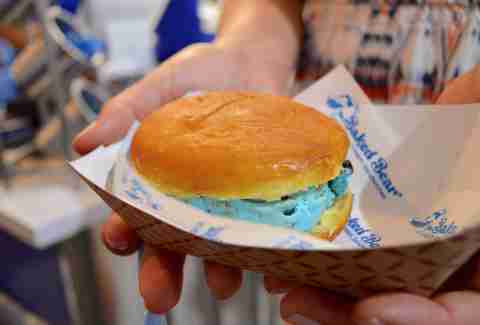 Just when you thought donuts couldn't get better, this place went ahead and tossed in some ice cream. 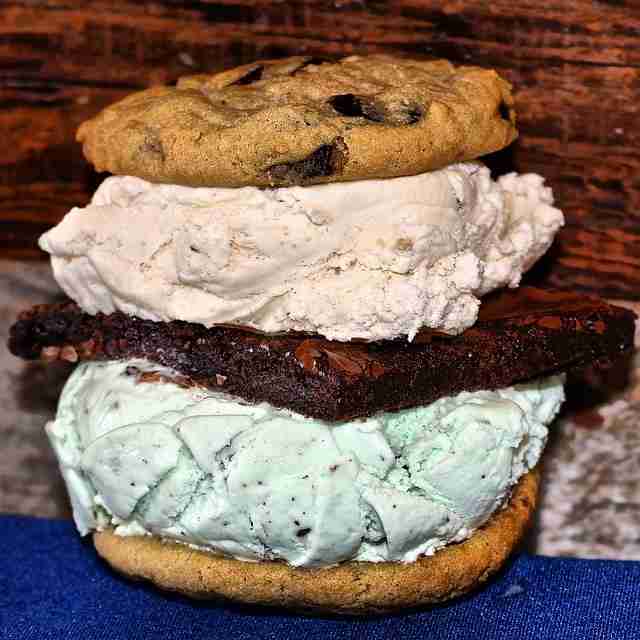 That's a lot of ice cream, and we're totally fine with that. 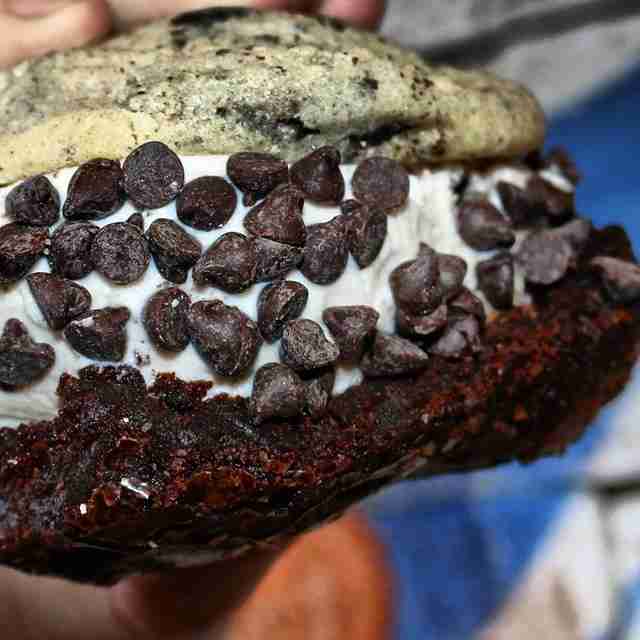 At The Baked Bear, you can create anything your stomach desires -- even this three-layer chocolate chip cookie-brownie hybrid. 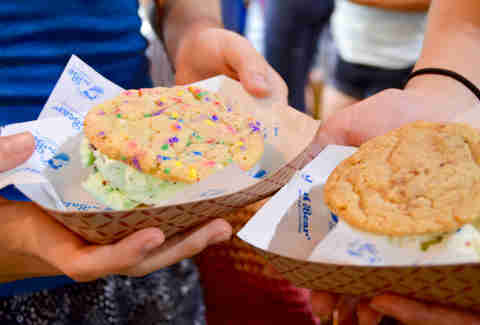 Birthday cake cookies tossed with some mint ice cream is a definite win. 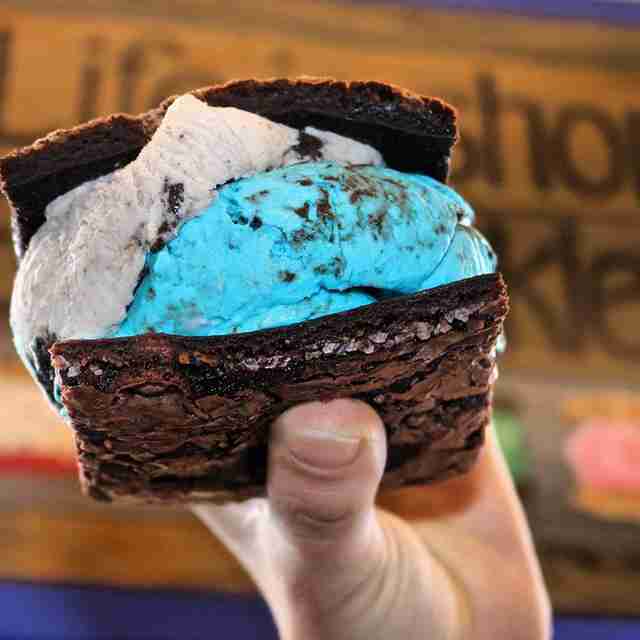 This monster is stuffed with all the good stuff (that blue bear batter with brownie bits we just told you about) spooned between two different cookies: chocolate chip and the cookie of the month. 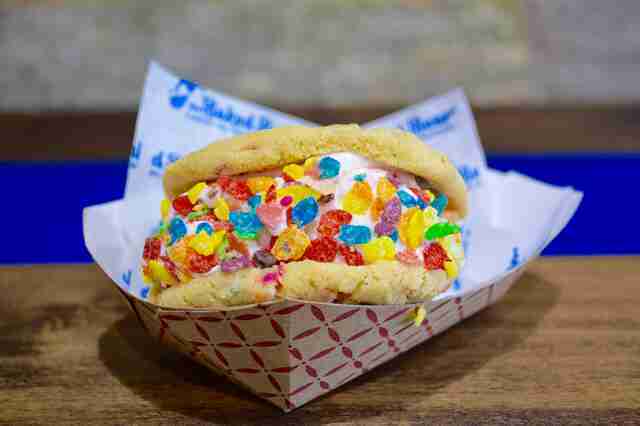 There’s nothing vanilla about this vanilla stuffed cookie sandwich. It's a true classic. It’s like a Reese's cup, but better, because it has ice cream. Lauren Topor is a Phoenix writer who always gets Fruity Pebbles on her ice cream sandwiches. 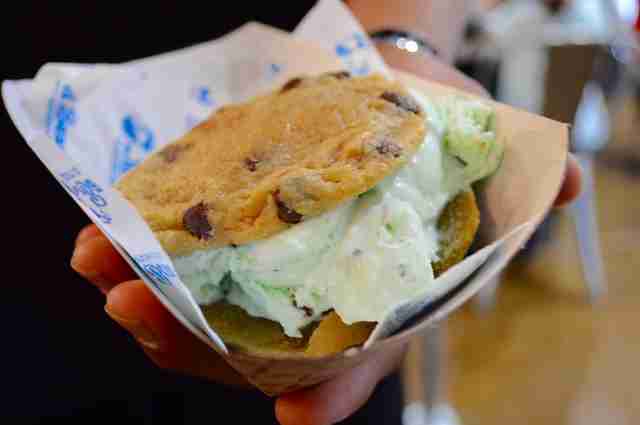 Follow her to The Baked Bear on Twitter and Instagram.